Ask the Candidates for their WIQ (Water Quality IQ)! What we can do during the current water emergency is apply pressure to elected representatives and candidates for elected office. SCCF offers a letter and series of questions, below, for you to use in communicating to our elected officials and to pose to candidates in the upcoming elections. Being informed about a candidate's stance on these important environmental issues and voting is one of the greatest impacts you can have to change the status quo. You can find a list of all Florida candidates on this webpage. Southwest Florida and our Gulf coast are in crisis, the legacy of years of rolling back regulations on environmental protections. Issues like permitting wetland development, inadequate water quality standards, and outdated and insufficient stormwater regulations. Actions have consequences. Our current ongoing, toxic algal bloom in Lake Okeechobee, the Caloosahatchee and St Lucie rivers and estuaries, the 10 month red tide along the Gulf Coast that has caused an unprecedented mass mortality of endangered sea turtles along our coast and beaches are the economy killing legacy of rolling back regulations, agency staffing cuts and enforcement to reduce "government regulation". Regulations that protect the public health, safety, and welfare are not government overreach, they are the primary function of government and necessary to protect the natural resources our economy and quality of life depend upon. Select from the list below and add into your letter or email, or for use at public meetings. What would you do to improve water quality? - Would you support requiring Advanced Wastewater Treatment to remove nutrients from reuse water systems a demonstrated source of excess nutrients? - Would you support broader, stricter water quality standards for nutrients and chemicals? - Would you support updating stormwater standards for urban and agriculture? - Would you require agriculture treat their stormwater before it leaves their properties? - Would you support eliminating the inequitable "presumption of compliance" with water quality standards given to agriculture? 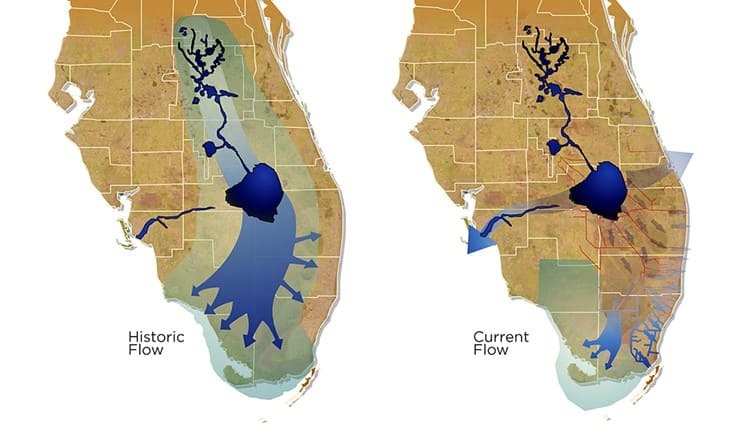 Florida's water supply, public safety, coastlines, and economy are being and will increasingly be affected by rising sea levels. What do you propose to proactively prepare Florida's population and infrastructure to adapt to changing conditions? What is your position on Energy production and supply in Florida? Do you support Fracking? Why? Do you support offshore oil drilling in the eastern Gulf of Mexico? The State dismantled the former Department of Community Affairs which administered growth management laws in favor of the Department of Economic Affairs which focused on promoting economic interests. Would you support any reinstatement of growth management principles or do you believe that authority should be left to the local government? Do you support the current legislative effort to overturn the recent Land and Water Conservation Amendment court victory which was to require the legislature to honor the intent of 75% of the voters to purchase conservation lands? Would you support restoring EPA regulations and funding for establishing water quality standards? Would you support restoring EPA funding for the Healthy Beach monitoring program? Would you support Florida establishing water quality standards for cyanobacteria blooms as 22 other states have already done? What is your plan to support Everglades restoration? What is your position on Energy production? Why? Do you support expanding leasing for oil drilling off US waters? Why? Do you support the current price support for sugar even through it benefits large corporations not family farmers? Do you support the plans to eliminate the Water of the U.S. (WOTUS) rule that seeks to apply water quality standards under the Clean Water Act? Would you support reactivating the stormwater utility in Lee County? What is the County doing to ensure the enforcement of the Fertilizer Ordinance? Do you support continuing to fund the Conservation 2020 program for the purposes 84% of Lee County voters supported or do you think the program has completed its task? Will you commit to using the 40 million remaining that was from ad valorum assessments on the program it was collected to support or do you support spending it on water quality treatment projects? How do you propose to replenish the funding and what level of funding do you support? What is your position on new development paying for its impact on services, schools, roads, parks etc through the payment of Impact Fees? What % of impact fees do you support? Why? How will you specifically address the transportation funding deficit facing Lee County and what will you do to discourage development sprawl which creates additional transportation and infrastructure problems? Southeast Florida Counties have established a compact to address and protect their communities from the effects of climate change and sea level rise. What are your ideas to address sea level rise issues here in Lee County and along the West Coast? Many of the existing land use rules have been amended to allow additional growth in environmentally sensitive areas. How will you address future requests to change the comprehensive plan or rezone areas that contain rare and unique natural resources? Many housing developments have been added in the Density Reduction/Groundwater Recharge (DRGR) area along Corkscrew Road. What will you do to ensure the promised environmental protections are effectively implemented?